UKAS exists to provide national accreditation to confirm that UK organisations operate professionally to agreed standards and to ensure the integrity of the technical operations of the accredited bodies. 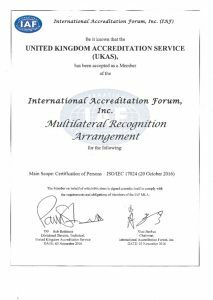 In particular, UKAS accreditation underpins the integrity of the national measurement system that supports all forms of accredited activity. As well as confirming integrity, accreditation provides the basis for the acceptance of products. 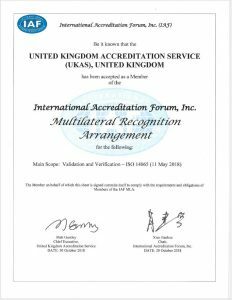 It provides assurance to the market that UKAS accredited services (calibration, testing, certification, inspection etc) are worthy of confidence, need not be duplicated, and should be accepted throughout the market. Such accredited technical services support the quality and competitiveness of UK industry. The international accreditation system strengthens international trade, enabling UK exports to be accepted worldwide and imports to be accepted in the UK as meeting the specified technical requirements. Were accreditation to operate as a purely national system, it would reinforce barriers to trade. As an international system, it effectively becomes a passport for imports and exports. 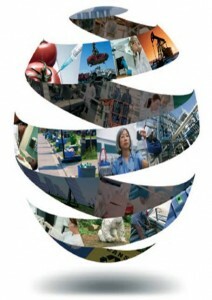 The global accreditation system operates through regional blocks. In Europe this is the European co-operation for Accreditation (EA). UKAS needs this organisation to be effective if it is to be effective itself. In July 2008, the Council of the European Union and the European Parliament agreed a Regulation that for the first time, that provides a legal framework for the provision of accreditation services across Europe. At the global level, accreditation is divided into two groups, the International Laboratory Accreditation Co-operation (ILAC) and the International Accreditation Forum (IAF). The decisions of these organisations determine the nature of the accreditation that UKAS and its equivalent bodies in other countries offer. It is therefore essential that there is a strong UK voice in each of these organisations. UKAS is part-funded by Government to participate in the operations of EA, ILAC and IAF. These organisations have established international arrangements based on the mutual recognition of certificates and reports issued by conformity assessment bodies (CAB) which facilitate trade and create a platform on which “accredited once, accepted everywhere” is realised. 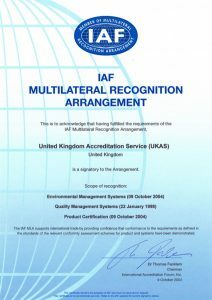 UKAS is a signatory to the EA MLA, which is recognised at international level by ILAC and IAF. 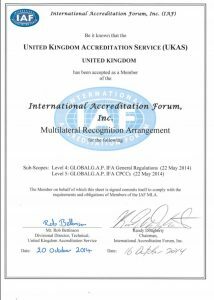 This means that a test report or certificate accredited by UKAS is also recognised by the signatories to the IAF MLA and ILAC MRA. In this way, the EA MLA acts as an international passport to trade.